Opening Day of the Major League Baseball season is one of the greatest days on the sports calendar, and the 2019 regular season is set to kick off on Thursday in the United States. The best part about opening day is that every team believes that they are a playoff team this season, and each fanbase is excited to see how their team looks. Aces will be on the mound all across the league, and there are some great pitching matchups on the schedule. Let’s take a look at some of the best opening day matchups and make a betting prediction for each game. The New York Mets and Washington Nationals both had disappointing 2018 seasons, but both teams should bounce back in a big way this season. This matchup is also intriguing due to the two starting pitchers that will take the mound. Jacob DeGrom, the reigning Cy Young Award winner will take the mound for the Mets, and he will be opposed by Max Scherzer, who has won his fair share of Cy Youngs as well. If you are a fan of pitching, then this should be the best game of the day. Most people think that the Nationals offense will be down without Bryce Harper, but they still have plenty of talent. The Mets are still banged up, and they don’t ever score much when DeGrom is on the mound. 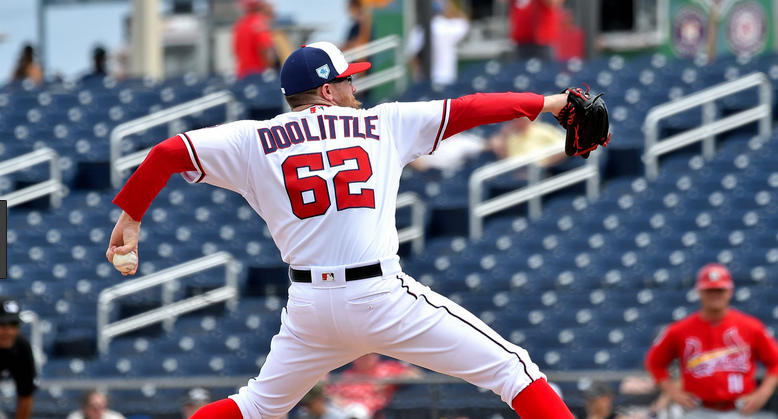 Bet the Washington Nationals over the New York Mets in a low-scoring affair. The Milwaukee Brewers came out of nowhere a season ago to win the National League Central Division, and the St. Louis Cardinals hope to do the same this season. Both teams improved in the offseason, and these two teams should fight it out all season long. The Cardinals will be debuting their new first baseman, Paul Goldschmidt, who will instantly improve the offense. Milwaukee will once again feature one of the best bullpens in baseball with Josh Hader leading the way. Miles Mikolas (St. Louis) takes on Jhoulys Chacin (Milwaukee), and the edge goes to the Cardinals. Bet the St. Louis Cardinals over the Milwaukee Brewers on opening day. The Philadelphia fans will be jacked up for this game as Bryce Harper will be playing his first game in a Phillies uniform. Philadelphia had a ton of money to spend in the offseason, and they went out and got the most prized free-agent on the market. 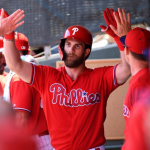 The Phillies were close to being a playoff team a season ago, and they hope that Harper will help them get over the hump. Atlanta was a playoff team a season ago, winning the National League East, and they have a ton of young talent. Ronald Acuna Jr. looks like a potential MVP candidate, and Ozzie Albies had a breakout year in 2018 as well. The pitching matchup in this game favors the Phillies with Aaron Nola getting the opening day start. The Braves will counter with Julio Teheran, but he isn’t up to the level of Nola. Look for Harper to do something special in this game, and the Phillies to get the win. Bet the Philadelphia Phillies over the Atlanta Braves in this one. Another terrific pitching matchup will take place in Tampa Bay when Blake Snell pitches for the home team against Justin Verlander for the Astros. The Rays surprised everyone a season ago, and just missed out on the playoffs in the tough American League East. Houston is just one season removed from winning the World Series, and their core remains intact. Both Verlander and Snell got new contracts this offseason, and they will want to deliver for their clubs. The Astros have a lineup that can pound out some runs, but Snell is one of the best pitchers in baseball. Look for the Rays to get just enough runs in support of their ace to come away with the win. Bet the Tampa Bay Rays over the Houston Astros in this game. 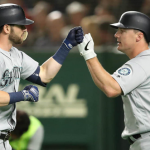 The Seattle Mariners have jumped out to a 2-0 start this season by defeating the Oakland Athletics in two games in Japan. Seattle was a solid team a season ago, and they could be a playoff team this season. The Boston Red Sox are the reigning World Series Champions, and should be loaded once again. Perennial Cy Young candidate Chris Sale will make the start for the Red Sox, and he will be opposed by Marco Gonzales (1-0). Even though the Seattle Mariners already have a few games under their belts, the Boston Red Sox will be ready to go from game 1. Expect some offense in this game, especially from the deep Boston lineup. Bet the Boston Red Sox over the Seattle Mariners in the final game of opening day.